2016 has been a busy year for science and a busy year for JPhys+. Here we look back at the articles which were most popular with our readers in the last 12 months. #5 – What is nuclear astrophysics? At number five on our list, we have our interview with Professor Hendrik Schatz of Michigan State University. Journal of Physics G talked to Professor Schatz about his work with radioactive nuclei beams and how this is helping to illuminate processes that occur on the surfaces of neutron stars. He also gave us a great overview of the history, current status and future of the field of nuclear astrophysics, and some great advice on how to get into this exciting area of research. Next up we have another interview, this time from Journal of Physics A. Back in May we helped celebrate the winners of 2016’s JPhysA Best Paper Prize. The prize has been awarded annually since 2009 to celebrate and applaud well written papers that make a significant contribution to their field. This year 3 prizes were awarded, and in this post we talked to the winners of one of them. Professors David Gómez-Ullate, Yves Grandati and Robert Milson discuss the meaning and impact of their 2014 paper Rational extensions of the quantum harmonic oscillator and exceptional Hermite polynomials, and where they expect to go from here. We also interviewed the winners of the other two prizes, Professors Tim Hollowood and Luis Miramontes and Dr David Schmidtt, and Professor Jesper Jacobsen. This year we celebrated the work of our reviewers and the institution of peer review by taking part in Peer Review week. 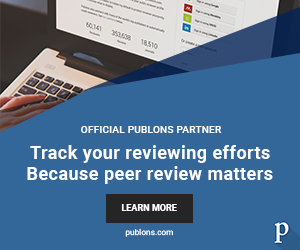 We posted a number of articles on a number of aspects of peer review, including an interview with Professor John Inglesfield about his experiences as a reviewer, the role our Editorial Assistant’s play in the process and an introduction to what peer review actually is. We also kept a running tally of the number of reviews we received from referees across the JPhys series that week (an impressive 286 in the end). The one you found interesting enough to place it at number three in this list was our run down of the life cycle of a research paper. What happens to a paper once it’s submitted to a journal can sometimes seem like a bit of a mystery, so in an effort to challenge this we had editors from across the JPhys journals chip in with their take on what goes on behind the scenes. #2 – The big physics of sport roundup! Just missing out on the top spot is our colletion of articles on the physics of sport – clearly popular during the summer (or winter, depending on your hemisphere)! We looked at football (soccer), golf, rugby, cycling and just why a cricket ball moves through the air the way it does. We might have to wait some time for a sporting year as good as 2016 was, but in the meantime check out this post to dazzle your friends with the answers when it does. And finally the most read post we published in 2016! In April JPhysD published an article entitled Inactivation of virus in solution by cold atmospheric pressure plasma: identification of chemical inactivation pathways as part of their Special Issue on Plasma Medecine. To follow this article, the authors wrote a short blog post about their work studying cold plasmas for killing bacteria and its medical applications which gives a fascinating introduction to this important topic. Thank you for reading and supporting JPhys+ in 2016. Here’s to another great year in 2017! Image 1: Hendrik Schatz, used with permission, owned by Hendrik Schatz. Image 2: David Gómez-Ullate, Yves Grandati, Robert Milson, used with permission, owned by the subjects. Image 3: Peer review animation. Copyright AJC1 under a CC BY 2.0 license. Image 4: Schematic diagram showing a cricket ball viewed from above and illustrating the principle of conventional swing with a new ball. Iwan Griffiths et al 2005 Meas. Sci. Technol. 16 2056. Copyright IOP Publishing, All Rights Reserved. Image 5: Cold atmospheric pressure plasma jet used in this work impinging on a finger. Important reactive species for biological interactions are schematically depicted, © Santosh Kondeti, used with permission.